Earlier today, we told you about a document filed with the FCC that reveals Bluetooth LE functionality for the Samsung Galaxy Note 9's S Pen accessory. 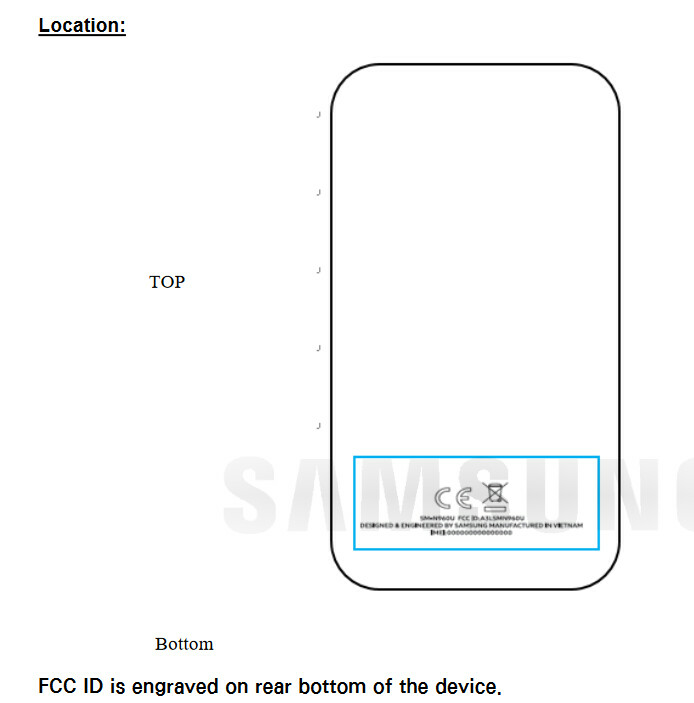 Now, we have some information from FCC documents related to the U.S. version of the unlocked Samsung Galaxy Note 9. This is the model that will be unlocked for U.S. consumers, which means that it will be powered by the Snapdragon 845 Mobile Platform. The model number of the phone is SM-N960U. 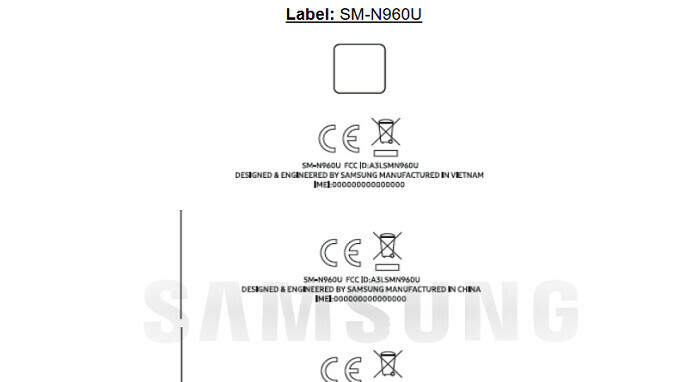 There is also an SM-N960U1 unlocked version for the U.S. An illustration found among the FCC documents shows that the agency's label will be engraved on the rear bottom of the phone. The Samsung Galaxy Note 9 will be unveiled on August 9th during Samsung's next Unpacked event. Why does the government still insinst on the ugly and meaningless, and ultimately costly to the consumer, labeling on devices? It's not like all this information can be made available online. If someone wants to bootleg something w/o FCC approval they can falsify it. Why don't they just stop an get out of the dark ages. Put whatever info for the device somewhere in the "About" settings etc.